Fascinating Rhythm is an all female a cappella chorus based in Winterbourne, South Gloucestershire. We love singing together in glorious 4-part close harmony and to entertain audiences at all kinds of venues including concerts, social evenings, charity events, festivals and competitions. 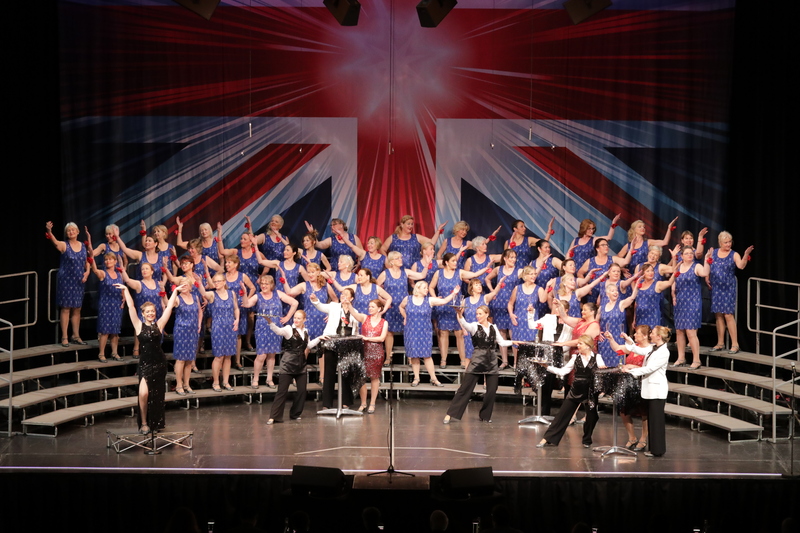 Our repertoire includes a wide variety of styles including pop songs, ballads, easy beat and traditional barbershop. If you’d like to book us, join us or just want to know a bit more about us, please click on the ‘Contact Fascinating Rhythm’ link below. 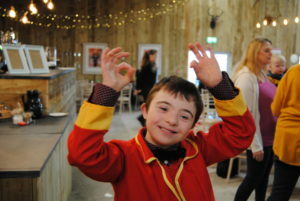 Thursday 21st March 2019 was World Down Syndrome Awareness Day #WDSD19 – take a look at our latest news for the release of our project we have been working on, and see what this chap is smiling about! Click on the link above if you’d like to give it a go and be part of Fascinating Rhythm. Workshop 2019 – Greatest Showman success! Signing up for updates by submitting this form gives us permission to email you with information about Fascinating Rhythm.